How many of you out there are Kpop fans ? 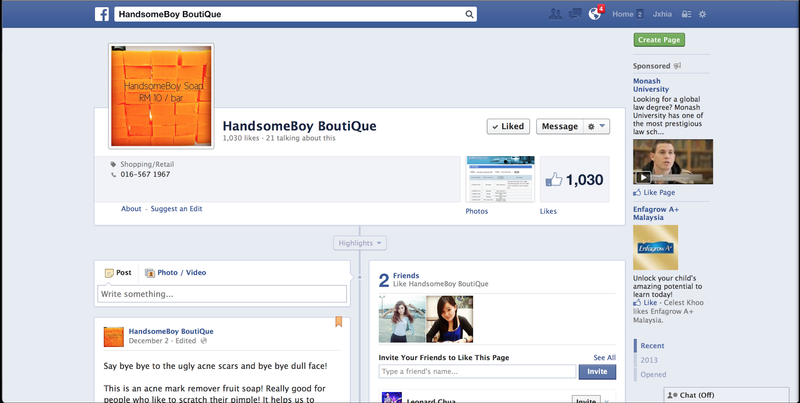 I know I’m not, BUT I am definitely a fan of their skin care products !! They not only sell typical Korean brands like 3CE Makeup or Innisfree Its Real Masks, they also bring in brands such as Laneige * MY FAV *, Skin food, Nature Republic & Etude house. All of their products are 100% trusted and authentic. 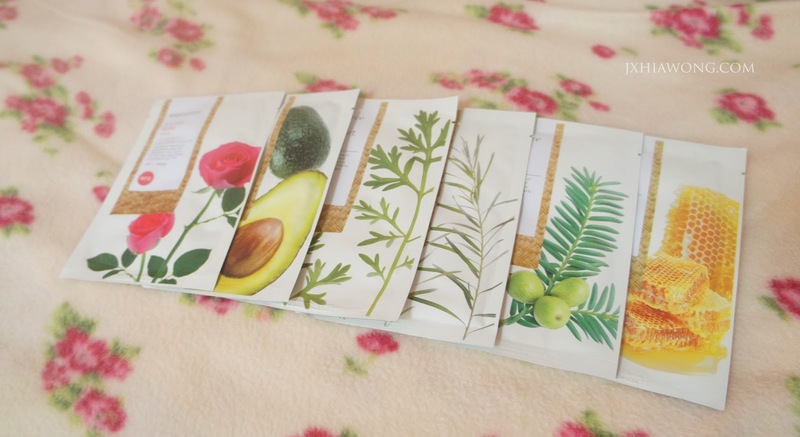 One good way to maintain our skin without any effort is using facial masks more often. There are million and zillions brands for facial masks out there but not every single 1 suits our skin nor help or heal them. 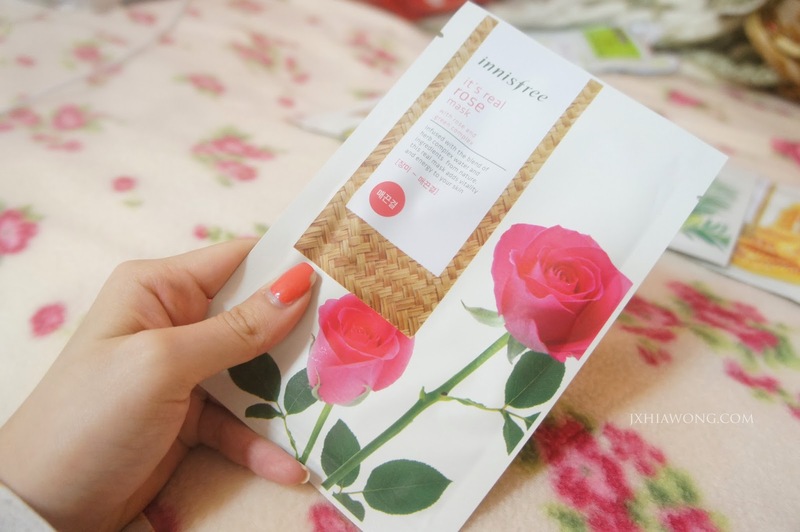 One brand that I had been using for sometime now, and it is a trusted brand from korea, that is the Innisfree Its Its Real sheet masks. I don’t usually praise sheet masks that much as I trust overnight masks more somehow, but this mask really do make my skin feels calm and soothing also more hydrating after every single time I use it ! 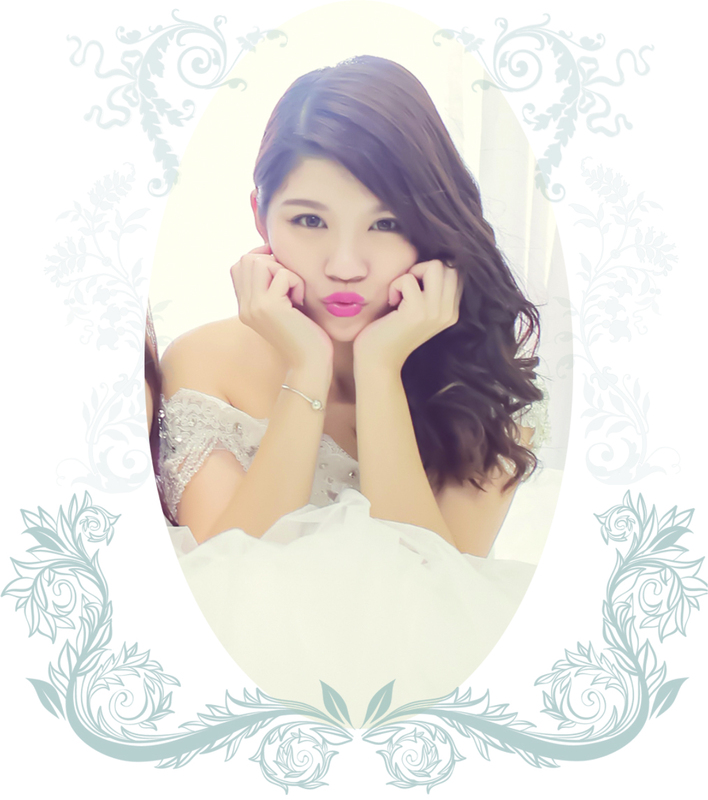 Avocado 1 is to calm and soothes the skin I believe…? It often get weird patches of skin and rashes but it was fine when I used this mask. Anyways, that’s not the point, but the Innisfree Its Real masks are the bomb ! Of course, my favourite 1 has got to be the rose 1 ! 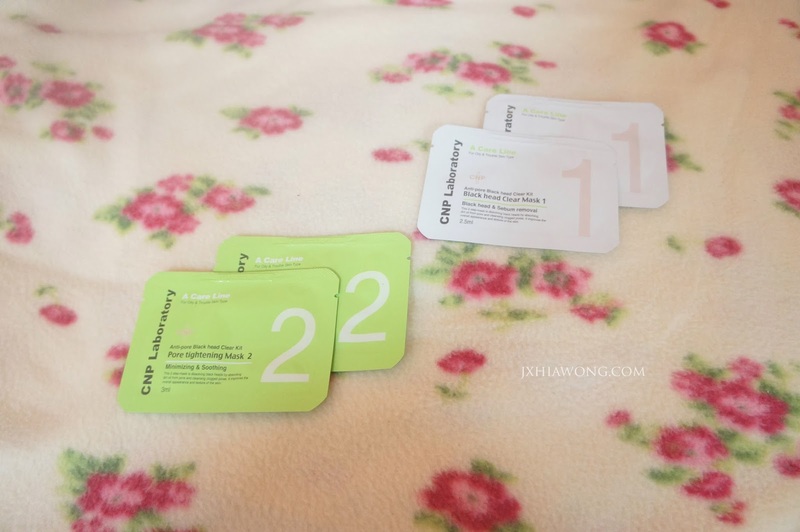 The 1 in green is “Tea Tree Relaxing” which means its suitable for acne prone skin to heal their angry acne and reduce the redness on their faces. The one in blue is for hydration, for those of you that often face problems like peeled skin or skin flaking off, this should be a good mask to heal it once and for all. Because I cleanse my face according to my routine, and also visit my beautician for facial once in a while to clear all these unwanted bullshits on my face. And some more, don't ever use nose strips guys ! Because it will remove the blackheads harshly and leaving the pores bigger and hence, it will continue absorbing oils and dirt and get more blackheads. 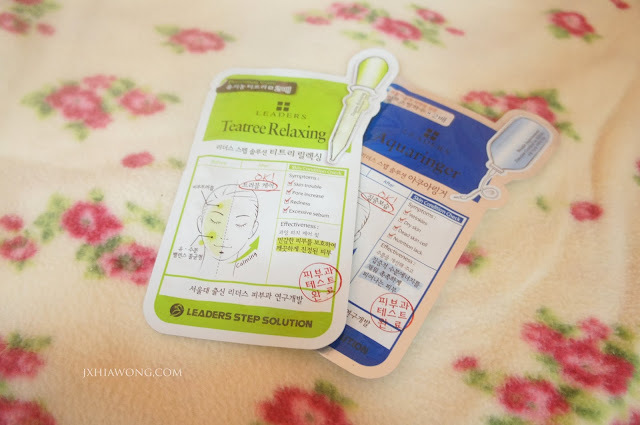 This black head mask is different as it isn't stick on, but it is just like any other sheet masks but for blackheads on nose, so its not that harsh. This is the Anti pore Blackhead Clear kit. Cleanse your face with warm water, or even better, steam your face. 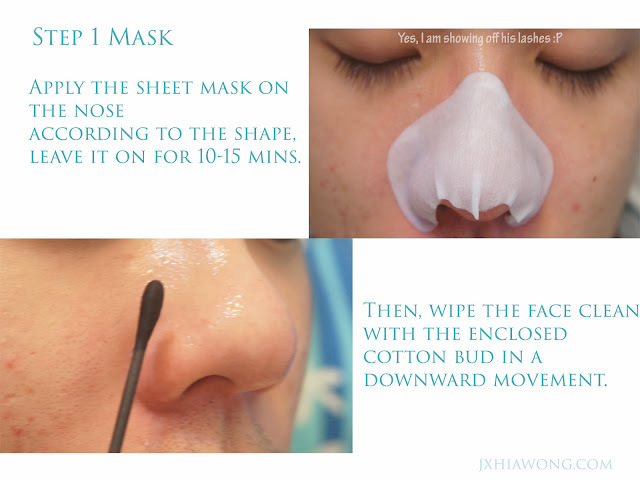 Apply Step 1 mask on the area with blackheads for 10-15 minutes. 4. Remove the mask and wipe the section with the enclosed cotton bud in a downward movement. 5. Apply Step 2 mask for 5-10 minutes. 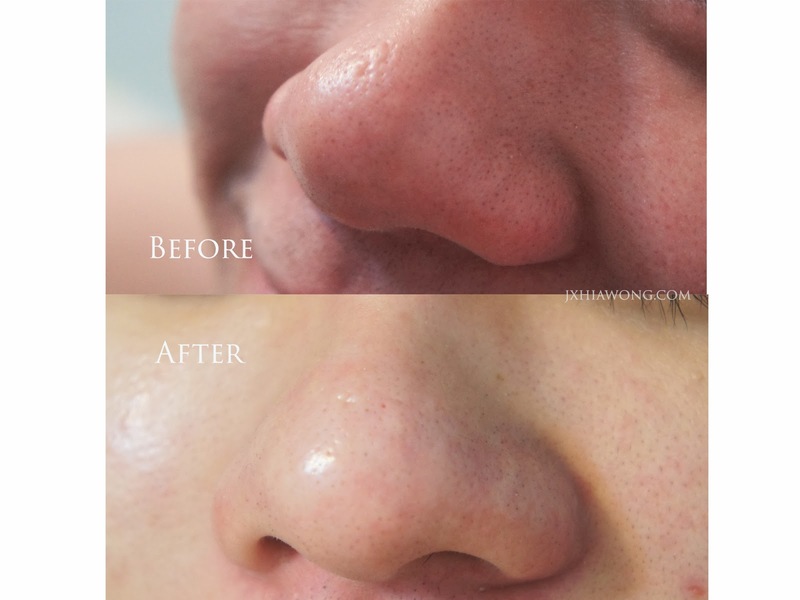 But if you can actually see, majority of the blackheads are removed and it looks less messy compared to before. And of course, I will do another separate review again to see the obvious result ! So isn’t it simple yet easy to take care of our skin?